We live in a world that is filled with all sorts of challenges and tensions. Financial issues in the form of debt greatly contributes to this burden, causing tension in families and ultimately robbing us of our peace of mind. This ever elusive ‘peace of mind’ that we all so desperately crave can be obtained through a practical approach to life’s situations and challenges. Most of the tension in our lives is caused by unresolved situations. If you have an argument with someone at work, you will be tense until you take the time to talk it out with them. Although these are four great principles around which you can build your life, I can see how this can be applied to a bad debt situation and how to gain peace of mind when bad debt is causing a mental and emotional tornado. This principle can be described as knowing your current debt situation. In order to start moving in the right direction and ultimately becoming debt free, you need to know what your current situation looks like. In many cases it is not as bad as you might have thought. It will give you great peace of mind to know exactly who your creditors are and how much you owe them. This means that you need to open those envelopes that pile up in your post box. Do not be afraid to open them; rather be afraid of not opening them. By doing this you will form a clear picture of your current situation, and I can promise that even if you owe a lot of money to a lot of people, you will sleep easier at night when you know where you stand. It will most certainly contribute to your peace of mind when you know for sure that your overdraft is not that far in arrears and that you will not get a nasty surprise from the sheriff. Lying awake at night, wondering and worrying about what might happen and not knowing the truth is a killer for peace of mind. It is said that the truth might sting a bit, but it will set you free. Once you know where you stand, you can start to accept the fact that you have debt that you have to deal with. You now have a clear picture of what your current situation is and nothing can catch you unawares at this point. There is no reason any longer why you should be afraid to open your post. You now need to accept responsibility for the debt that you owe and acknowledge that you have borrowed, and that you have spent that which you have borrowed. You also need to accept the fact that the debt will not simply go away, and that you have to deal with it in a decisive and responsible manner. The book also mentions that we have no control over certain things in life, but we have absolute control over the way we respond to things. We can choose to respond in a negative, critical manner, or we can choose to respond in a positive manner. Once you have made peace with the fact that you have these debts, you can start to positively address them and the challenges around them. This specific principle speaks to me in the form of budget, budget, budget! You need to decide how much money you are going to spend on what. Decide what is important to you and your family and differentiate between your wants and needs. At this point there are a few questions that you need to ask yourself. Are all your monthly expenses real necessities? Do you really need to eat out twice a week? How much will you spend on groceries? How much will you spend on transport? This is also the time to decide if you really have to buy all your groceries at Woolies or if you could settle for Checkers to save a few rands. 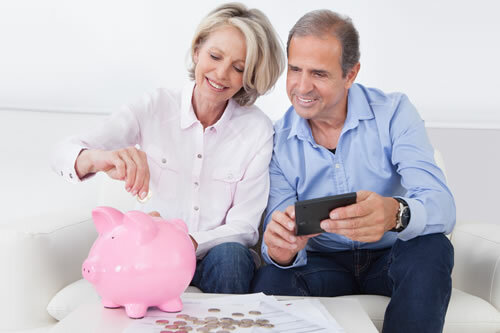 In a financial sense, this is the stage where you need to free up some funds that you would otherwise spend on unnecessary things and allocate them toward repaying your debts. Your budget will serve as your action plan or road map to get to the destination of being debt free. In your budget you also need to specify how much money will be allocated toward each debt in order to pay it off within a reasonable amount of time. Decide how quickly you want to pay it off and allocate the funds to do it. Knowing exactly where your money is going will give you great peace of mind. It will give you a sense of control and provide you with a structured approach to finding solutions for your debt situation. I would like to be clear on this… sticking to a budget isn’t easy, but when you approach it with discipline and commitment it could be the best thing that you have ever done for yourself. It requires perseverance. You need to endure month after month of disciplined spending and paying off debts. At the beginning it might be difficult, but as you continue on your path toward peace of mind it will become easier. It will become a way of life, and you will wonder why you have never approached your finances in this way. It will be very gratifying when you see how your debts decrease each and every month, and when you finally settle a debt it will provide you with a sense of accomplishment that will surely motivate you to pay off the rest of your debts even quicker. These are the four principles that I apply to keep peace of mind in life and my finances, and I am sure that they will work for you as well.